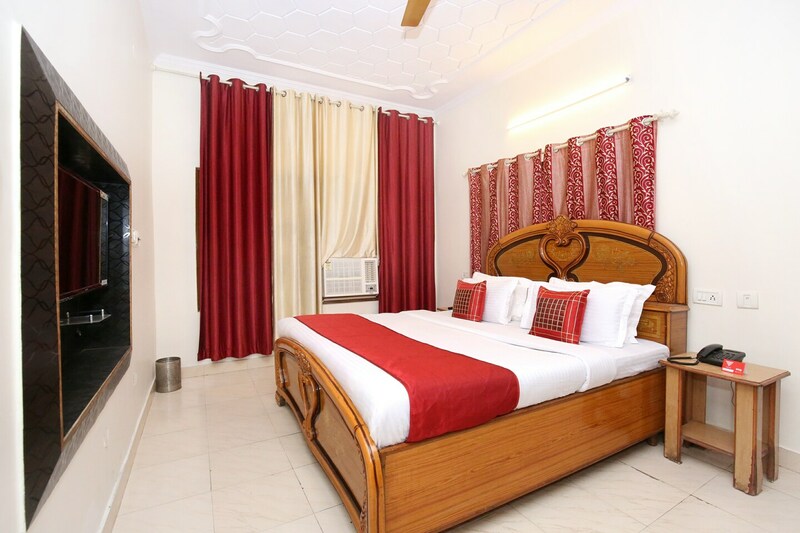 The Hotel Holiday Classic has a very classy ambience and the rooms provided have a regal ambience. The rooms maintain a neutral palette but the patterns on the bedsheet and the bold colors of the curtain creates a regal look. The rooms are well-furnished and well-lit. A lot of woodwork is involved in the decor of the room. The additional features provided by the hotel are free Wi-Fi, CCTV cameras, card payment in all forms, and an uninterrupted power backup supply. The front desk service is managed by experienced staff. The reception is well-furnished and is provided with a plush sofa and a wooden center table.